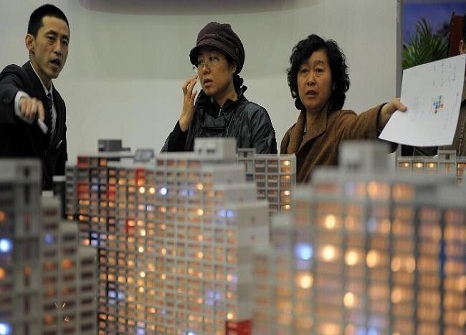 Had China’s real estate industry been developed properly in the last 15 years, there would not have been such a nasty bubble accompanied with a structural acute shortage that has become a huge hurdle for urbanisation, sustainable growth and improvement of people’s livelihood. There are three key factors responsible for the current housing bubble and artificial shortage: rising income inequality, corruption and culture. If the urban population is divided into ten groups of equal sizes which are ranked in descending order of per capita incomes, the ratio of per capita income of the richest group over that of the poorest group was already high at seven times in 1990, but it rose sharply to 33 by 2011. If unofficial grey incomes were included, the ratio would have been much greater. The Gini coefficient of per capita incomes among all the urban and rural households rose from 0.2 in 1978 to almost 0.5 today based on official statistics. Rising income inequality implies that rich people can afford to buy large and expensive commercial houses, but middle and low income people can only afford to buy small and cheap houses. The rich or high income people account for only a small proportion of the total urban population, possibly 20 percent. The vast majority of people, or at least 80 percent of all the urban population, belong to the middle and low income group. Corruption of government officials, house builders and bankers means that their only objective is to maximise abnormal monopolistic profits at the expenses of the vast majority of people and the society. Such profit maximisation behaviour has driven house developers, in collusion with local government officials and bankers, to focus their investments almost exclusively on large and expensive houses, meeting the demand of the rich. Little attention has been paid to the construction of economic housing to meet the demand of the middle and low income households because of low profitability. Consequently, there has been an acute shortage of economic housing, forcing the middle and low income households to compete with rich families to buy commercial houses at high prices, simultaneously creating shortage and pushing prices even higher in that sector. Chinese traditions and culture require men to have houses before they get married, explaining why rich people want to buy multiple houses not only for themselves but also for their children and grandchildren. This seemingly ‘irrational’ housing demand behaviour, coupled with a massive influx of rural workers into cities, create a powerful and almost insatiable demand for housing. In the most extreme case, people deplete savings of three generations just to buy an apartment in Beijing or Guangzhou so that the grandson can have a foothold in the city to get married. Greedy house developers, local government officials and bankers take advantage of Chinese people’s ‘insane’ desire for housing by colluding, by not building small and cheap houses, by hoarding a large number of newly constructed commercial apartments unoccupied, to create artificial shortage and drive prices up to such a level that an ordinary person has to work for his whole life just for a lease-hold apartment. Many low income people can never even dream of buying a house in the city. Out of the 700 million urban residents, 260 million are rural migrants. As house prices are so high, the vast majority of rural migrants cannot afford to buy a house and have to leave their families behind in the remote countryside. 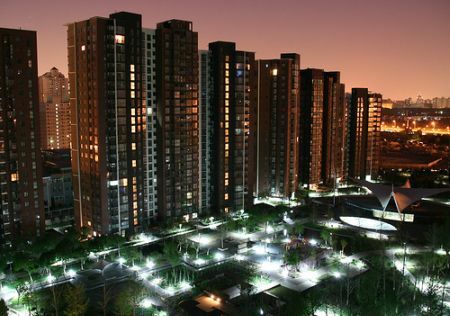 As a result, China’s urbanisation suffers from two fundamental weaknesses. Firstly, a large proportion of the urban population are floating residents. Secondly, consumption ability in the city is critically undermined as the floating population face huge uncertainties in their lives. The Chinese housing market looks like a huge bubble. However, this bubble may not burst for two reasons. First, large house developers can afford to hoard a large amount of housing without becoming bankrupt due to ridiculously high profit margins and soft budget constraints provided by state-owned banks through easy and cheap credits. Second, most house developers had accumulated a large amount of land before the housing bubble was formed. There are a number of negative consequences of such a non-bursting housing bubble and shortage. First of all, when the government imposed quantity restriction on house-buying, house developers resisted to sell houses at reduced prices. This means that house prices have not come down to benefit house buyers, but house construction has declined sharply, leading to a slowdown of economic growth. Secondly, middle and low income people are still unable to buy any affordable houses, prohibiting China’s urbanisation process and ability to stimulate domestic consumption. To move away from the vicious circle of housing shortage, high price and further shortage, the central government has ordered local governments to construct low-rent houses in the order of 36 million units before 2015. This is undoubtedly a move in the right direction but serious questions remain unanswered. How can the low-rent housing programme be sustained without massive government subsidies? How can the government acquire enough land to build those houses once local governments have lost their massive land sales revenues that were possible in the past? The government has not tried to resolve the very problems that have caused the current difficulty in the housing market, including its unwillingness to introduce house hoarding or land hoarding taxes, to restrict the size of commercial housing so that land can be used more efficiently to accommodate as many people as possible in the rapidly urbanizing process. It seems like China’s facing the same problem as some other countries. Hopefully, their government would be able to provide homes for everybody at the cost they can afford. Land distribution and policies are a bit tricky in China. There are cases of newly built cities where no one physically lives in them, and within the existing tier 1 and 2 cities, mostly everywhere is developed, unless they build the low-rent houses on the outskirts of the city. I think a similar model used by the local housing associations in the UK could be applied in China. A technique to ease up the strain on the government housing, backed by the local authorities, allowing people to become home owners by offering them part buy, part rent schemes. The promotion of a similar adapted model by the Chinese government, could influence a new wave of construction targeted at the lower income individuals whom have steady jobs and a sizeable deposits, which they could benefit from a low interest credit facility offered by the government and become home owners.